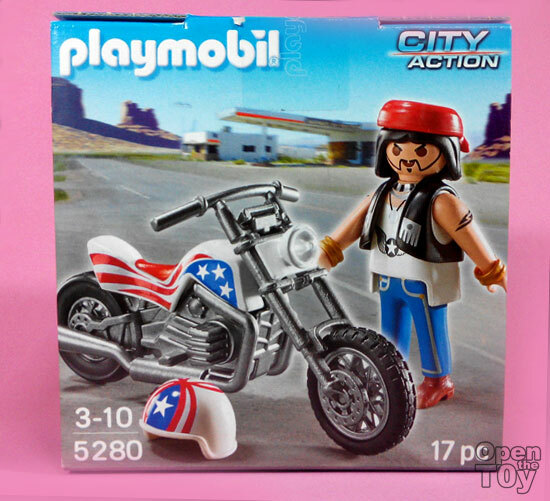 I always wanted a Bike in the for Playmobil and when I saw this set, I jump on it. 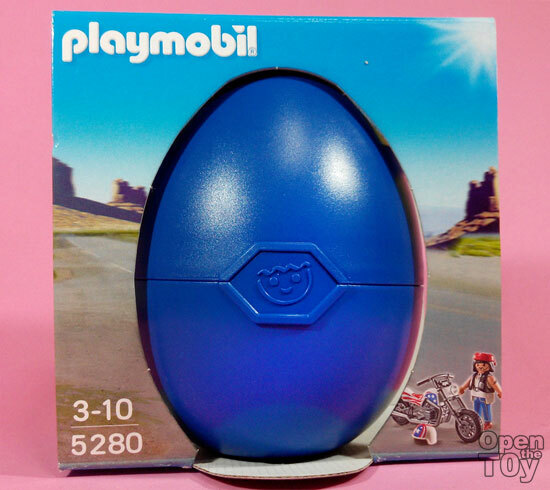 The bonus part it come with an egg but I know what was inside. So not quite surprising but another container I can keep. 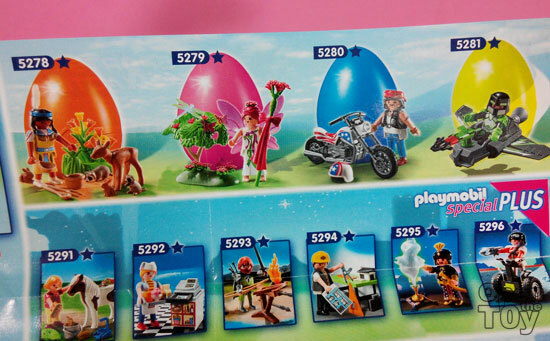 Actually for this series, there was 4, a Red Indian girl, a Fairy, Biker and a Space Ranger of some sort. 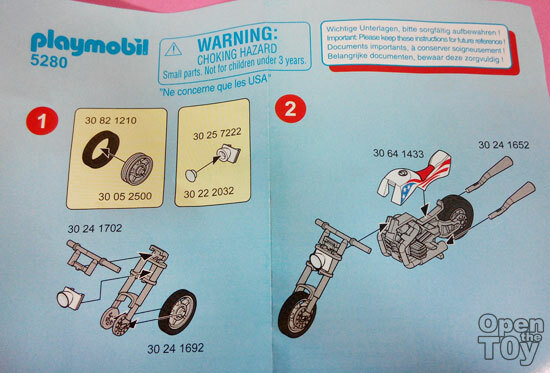 The package come in pieces but not the figure and there are instruction to assemble the motorbike. 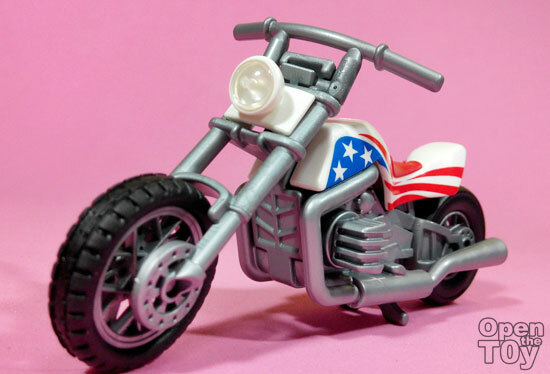 Within minutes, the motorcycle is assembled. 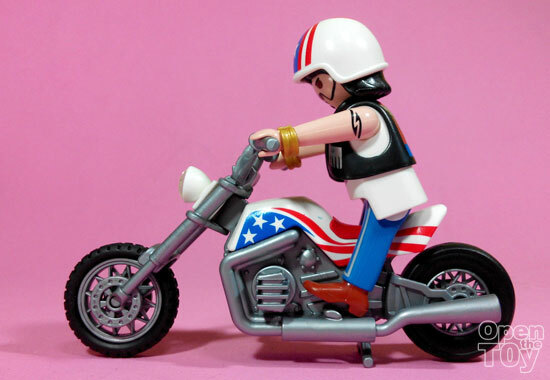 This is a heavyweight motorcycles designed for highway cruising. The long handle allow the driver to lean back to a more relaxing posture so in long journey is less taxing. 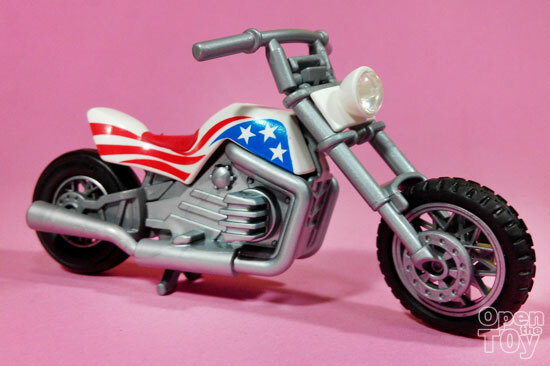 Once can easily identify this is a Harley Davidson with American theme on the motorcycle. 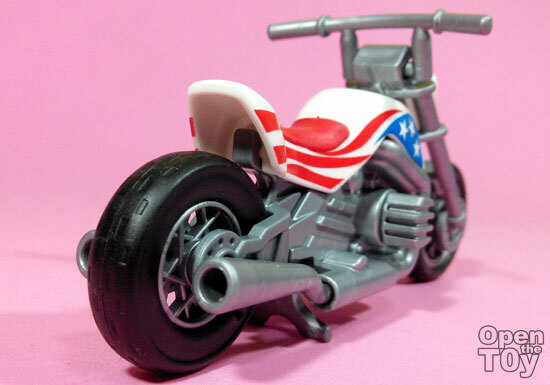 You will notice the front wheel is different from the back. This is more for functionality as the back wheel need more traction to drive the whole motorcycle. 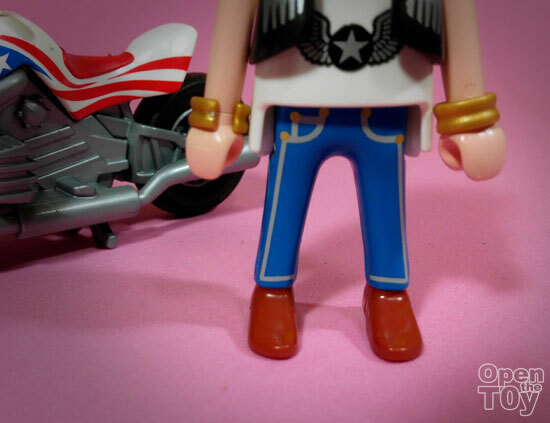 So much for the motorcycle, it is time to look at the biker himself. 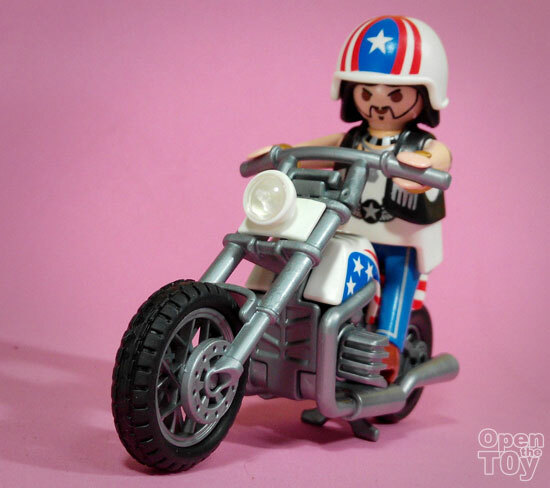 I was expecting something more as the look of this Playmobil biker do not match my expectation of a biker. Firstly the Tattoo look too simple that I do not know what it means. 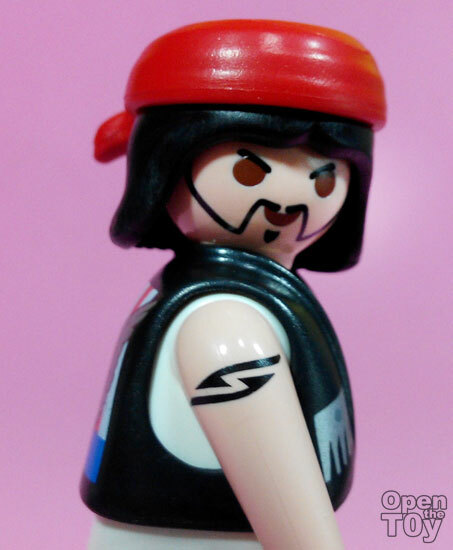 I would expect an eagle tattoo would be appropriate for biker. Another would be his bread which is rather weird than fashionable. I do like his red bandanna but I was hoping they give him a shade to wear. His attire like his boots. jeans, shirt and vest is matching a hippy biker. Also the gold bracelets also do the trick of profile matching. 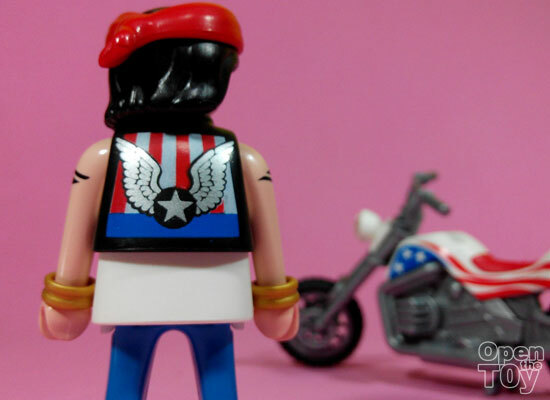 His attire have a theme matching the decal of his motorcycle of having a Red, White and Blue and a Star. Even his helmet match the theme. On the bike, he do look good as a bike who cruise around like that. 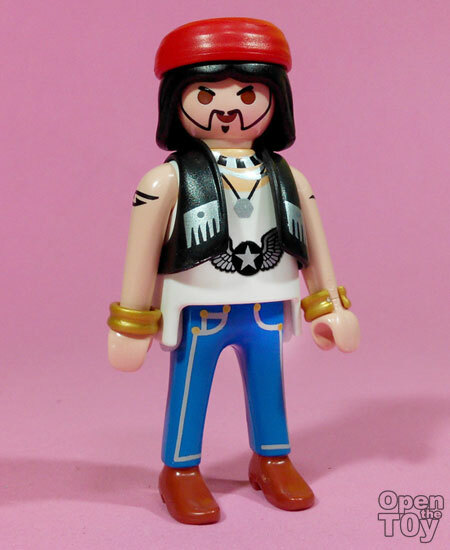 Nonetheless, I am glad to have this edition in my collection of Playmobil. I am sure he can do many stunt with this motorcycle. 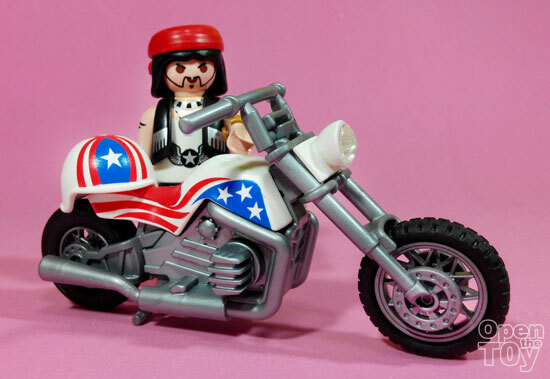 What do you think about this Motor biker?